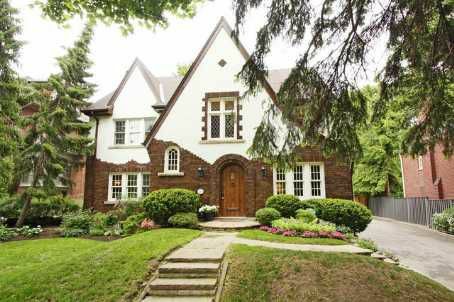 Exceptional Location, Overlooking Lawn Bowling On Most Prestigious Street In Lytton Park, Rare 70 Foot Lot. Beautiful Tudor Home Filled With Charm & Character. Wainscotting And Hardwood Throughout. New Kitchen, 2 New Baths W Heated Flrg, Main Floor Den And Music Room. New Furnance, Dual Ac/Heat Pump & Lg Space Pac (07). Walk To John Ross Robertson, Havergal And St. Clements.